I’ve completed yet another series while starting so many others, so here’s another series review! I have a mess of mixed feelings about these books. Here is they are in nice bullet format! I really enjoyed the first book but while rereading it to my husband I found it a little more dense than I remembered. It’s written more as adult fiction than YA. Book 2 was by far my favorite. Some of that dense language from the first book still carried over but there was much more dialogue and action to counterweight it. I felt like many of the characters, though interesting didn’t have depth behind that. 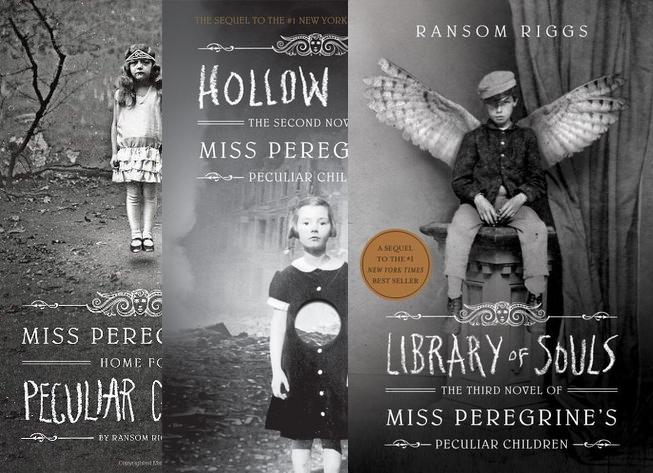 Horace, Enoch, Fiona… what were these kids like besides just Peculiars? While I understand that was there whole life trapped in the loop surely they had thoughts and feelings outside of that or petty jealousy for Jacob (I’m looking at you Enoch). Was it just me or was Miss Peregrine kind of a mean lady? I can’t tell if it was intentional or if she was just meant to come off as stern teacher type, but definitely in that last book. There was no remorse for her family and how her treatment shaped them. I loved the time travel. Loops of time, repeating over and over? That was neat. The idea of the matriarch society of the women (I honestly can’t remember how to spell that word, Ymembranes?) Was interesting. I wish we’d seen a lot more of them and that dynamic. It wrapped up too neatly, especially with the only death of a major (?) character being ‘off screen’. I also loved the children and the peculiar powers they had. Very creative ways of adapting those found images (though I feel like some of the ones in the third might have been stretched to fit the book). Overall I enjoyed the books, but there were holes and problems with it in my opinion, or things that didn’t work for me. I will be picking up more of his work to see how he evolves as a writer of fiction and I would love to see his hand at adult fiction one day.